This 'Mille de Fleurs' bouquet is an exquisite classic. 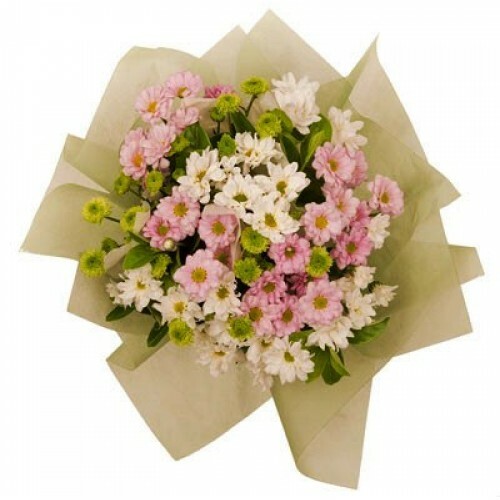 The bouquet consists of beautiful yet simple Spray Chrysanthemums, in pink, white and greens. It is a perfect way to says Thanks to the ones you care about.